Nursing Practice in Rural and Remote Canada II (RRNII) is a multi-method study focused on providing a better understanding about the complexities of rural and remote nursing practice as well as the personal, professional and community factors involved in recruiting and retaining all nurses (RNs, NPs, LPNs, RPNs) in rural and remote communities. Between 2012-2016, RRNII embarked on four major research activities (analyzing the Canadian Institute for Health Information's Nursing Database data, analyzing policy documents, conducting a national survey of nurses in rural and remote areas across Canada, and producing and distributing knowledge translation materials that report the study's findings), with the goal of informing policy and practice decisions regarding nursing services and access to care in rural and remote Canada. Specifically, the national survey highlighted specific findings from each province and territory. What were the results for rural and remote nursing in B.C.? Join us for a webinar to find out! To provide participants with insights into the work and practice experiences of RNs, NPs, LPNs, RPNs in rural and remote B.C. through the findings of the Nursing Practice in Rural and Remote Canada II research study. Understand the current demographics of rural and remote nurses in B.C. Articulate where rural and remote nurses work across the province. Articulate the scope of practice of rural and remote nurses in B.C. Understand B.C. rural and remote nurses' perspectives on primary health care in their workplace. Identify practice and policy implications of the new survey findings. Martha comes from a professional and practice background in nursing management and continuing education. 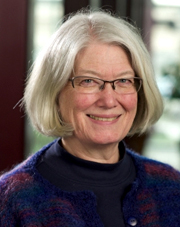 She has been at the University of Northern British Columbia since 1994, and is professor in both the School of Nursing and the School of Health Sciences. She is currently the Northern Health - UNBC Knowledge Mobilization Research Chair and Co-Lead of UNBC’s Health Research Institute. Martha teaches in the areas of leadership, qualitative research, knowledge development and moving knowledge into practice. Martha leads the Rural and Northern Practice Research Team, and her research, broadly speaking, takes a qualitative approach to examining health services and health human resources. Specifically, she studies the nature of everyday experience and practice, and how professional practice may be developed or hindered within health care organizations, particularly those in rural, remote and northern settings. She has published and presented widely on rural and northern nursing issues, nursing practice, education, knowledge translation, and network development. Currently, Martha is undertaking partnered research with BC's Northern Health Authority in primary health care, and she is active in national and provincial research and knowledge translation networks.